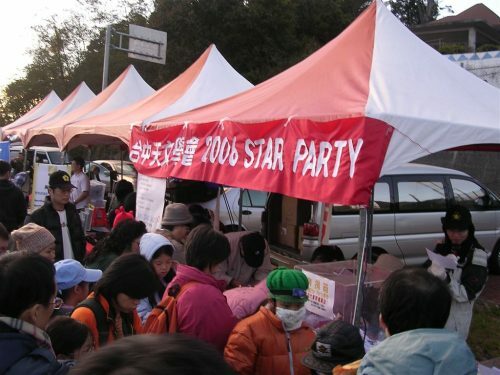 Star Party is the most important annual event for Taiwanese astronomical amateurs. It held in 翠峰, 合歡山 (in Shei-pa National Park) every year, with lots of people and their telescopes and gadgets. I don’t have any of them so I brought my laptop with Stellarium in it. Took hours of driving to get there though, but I think it still worth it. This entry was posted in Astronomy, Me Me Me. Bookmark the permalink. Share the short link.